Use maps, filters, popular city searches to find a rental home which meets your needs. 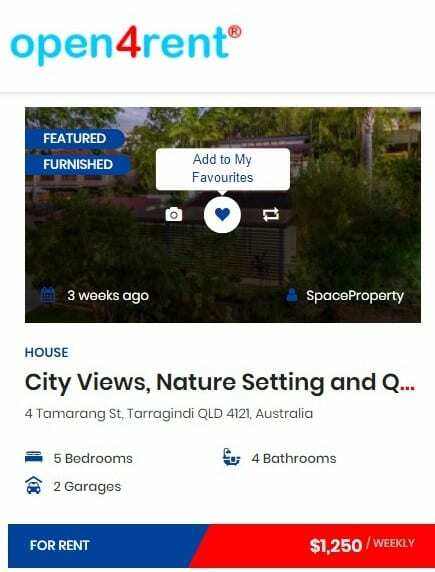 If you are viewing the full property listing the Add to My Favourites icon is a star and it is accessed next to the social share icon under the rental price in the header for the listing.<br /> If you are viewing a list of rental properties the Add to My Favourites icon is a heart and it is accessed by moving the mouse over the feature image. 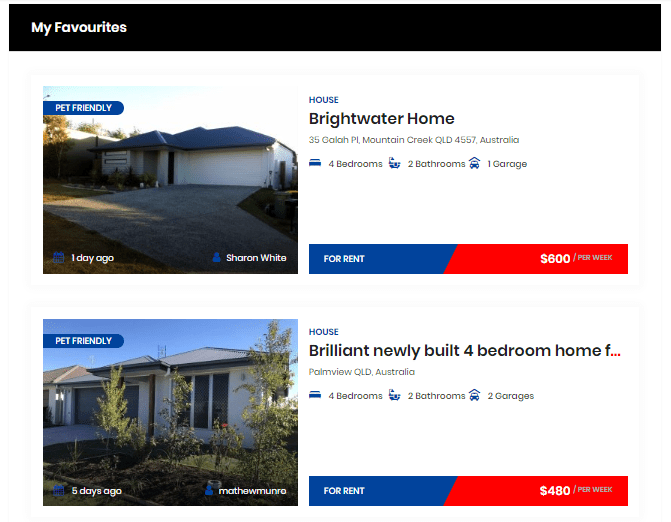 Once you have built your shortlist of rental homes you can view them in your My Favourites page. You can access My Favourites from the submenu on the My Profile. In summary rental listings, the Add to My Favourites icon is located in the middle of the feature image for the listing. Click Add to My Favourites icon to save rental property. In full rental listings pages, the Add to My Favourites icon is located below the rental amount in the property header. Click My Favourites icon in full listings to save the rental property to your shortlist. Select My Profile from the navigation bar or footer. Select My Favourites from the sub-menu. My favourite rental homes on RentEzy.